The VRMA International Conference in Las Vegas is right around the corner (starting October 27!). Get ready for Global Business Manager at Google, Shaun Aukland’s keynote presentation on October 28 – “Vacation Rentals in the Age of Assistance with Google” – by hearing some of his thoughts about consumer expectations in digital interactions. VRMA: Your keynote at the 2018 VRMA International Conference is about how vacation rental businesses can win in the “Age of Assistance.” Can you define that term for us in your own words and share how that applies to vacation rental businesses? Shaun: Providing assistance is helping people get things done. It does not necessarily require the use of a Google Home or an Amazon Echo. And it’s not restricted to voice. It’s much broader. It's about using digital to assist people throughout their daily lives. Great assistance requires anticipation of consumer needs and then delivering the right experience to answer those needs in the moment. Consumers are more curious than ever, and due to the advent of mobile are researching everything all the time. This has also made them more demanding, especially when it comes to the experiences they have with brands. In addition, they are more impatient and expect brands to deliver on their needs immediately. The Age of Assistance is the term we’re using to define this shift. There are tons of examples of digital-first brands offering up assistance when we need it most. My Lyft app means I never have to try to hail a cab in San Francisco again. OpenTable means I can find a dinner reservation in a few moments. And of course, there's us, Google. Google offers assistive experiences across the spectrum — take, for example, my favorite Google product (aside from vacation rentals, of course), Google Photos. With Google Photos, I'm not just storing thousands of photos from vacations and family albums; the app actually helps me quickly find the moments that I want to relive with friends and family. All of these digital experiences raise the bar for consumer expectations. They’re not just comparing you to your peer group. They are comparing you to the best digital experience they’ve ever had. This applies to the vacation rental business. Travelers are going to compare the experience they have researching, booking and staying at your vacation rental to all the other tasks they do throughout their day. It's essential that as a vacation rental owner you think about how you can provide the most assistive digital experiences to your guests. VMRA: It’s no secret that consumer habits have dramatically changed toward more digital-centric habits, and in many ways, this has greatly benefitted vacation rental businesses because their properties are being surfaced more easily for consumers. How have you seen consumer habits change the industry in the past 5-10 years? What has that shift looked like? Shaun: In the Age of Assistance, the travel consumer is more empowered than ever. Digital is more of a trusted advisor than ever before. The travel consumer is curious. She is increasingly searching for even the small stuff. For example, we have seen a 300 percent increase in searches for the term “best travel pillow” in the last two years. I was one of those searches, and I love my new pillow! She is demanding. Some 64 percent of digital consumers expect that they will see content specific to them and their needs while interacting with brands (on their phones). She is impatient. Nearly 70 percent of consumers are less likely to book with a travel company whose mobile experience is slow. She expects assistive experiences that are useful, personal and frictionless. Some examples of this include the ability to book with one click and remembering who she is and her past behavior. Today’s consumers expect technology to assist them wherever and whenever they need it. VRMA: People often turn to Google with questions and to research, but when it comes to vacation rental bookings, more traditionally, people have turned to OTA sites to actually book their stays. 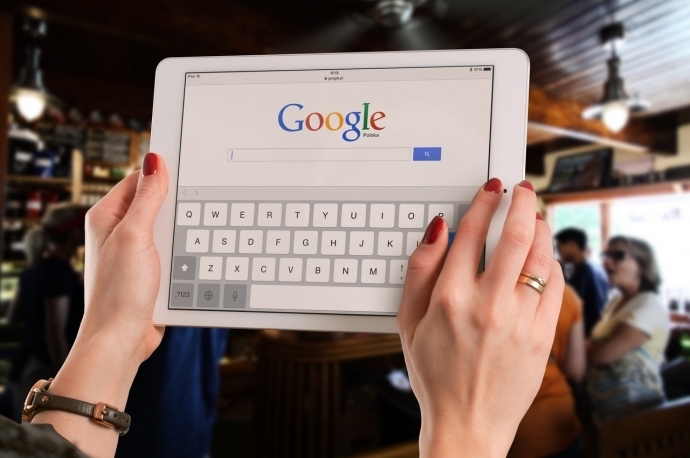 How is Google becoming more integrated into that process and what plans does Google have to better serve people searching for vacation rentals in the future? Shaun: For the past year, we’ve been piloting a vacation rental offering within our Hotel Search product. We surfaced hotel-like vacation apartments, launched in many parts of the world, excluding North America and parts of Asia, and created a new filter that surfaces vacation apartments, as well as a tip that encourages users to enable the filter. This makes it easier for consumers to find vacation rental properties that our partners have listed. We learned a lot through this pilot. We see consumers are interested in vacation rental inventory, and in some parts of Europe, we are finding that vacation rentals are extremely popular. We've found the vacation rentals search experience needs more work and testing, and we'll continue to iterate so consumers can find a great place to stay in the coming years. VRMA: Many of the vacation rental industry shifts have been driven by technology. What technology available today are you most excited about with its potential application for the vacation rental industry? Shaun: Before spending on a vacation, people want to understand the real deal. They want to see everything from how other families have fit in the vacation rental to the amenities and local attractions, and hear directly from families about their experience. In fact, we’ve seen a six times increase in growth in mobile watch time of travel diaries and vlogs in the past two years. Essentially people want to experience a vacation before setting foot in their chosen destination. These new rich tools enable users to really feel the experience. Content like high-resolution videos, immersive 360-degree panoramic imagery and augmented reality with immersive floorplans are technologies that give our users a new vantage point into properties and whether those properties will truly meet their needs. After all, travel isn’t something you can return if you have buyer’s remorse, so a better understanding of the property and the trip is good for everyone! VRMA: What are some of the biggest challenges on the horizon for the vacation rental industry as we look to 2019 and beyond? Shaun: Creating a unified distribution platform will continue to be a challenge for the vacation rental industry and will be an area where I expect to see the most disruption. Consumers are used to having an easy way to search across many hotels in a matter of seconds. In addition, hotels have a common language helping customers understand the difference between a 5-star property and a 3-star property. Right now, the vacation rental industry is still new to many travelers. What can property managers do now? My advice is to focus on your product. Ensure that you are providing guests the best experience possible. If vacation managers can provide great properties, then travelers will follow. Have you registered for the 2018 VRMA International Conference, October 27-30, Las Vegas? Check out details on the top-tier educational content and one-of-a-kind networking opportunities, and be sure to hit the registration tab!